Removable drives provide a cost-effective and safe way to manage data for security, transport, growth, backup, and archiving. 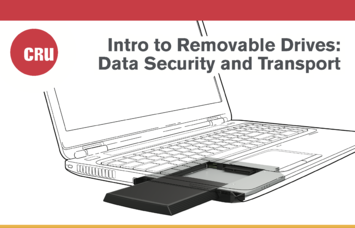 In this ebook we discuss the many benefits of removable drives for organizations that want to reliably protect and access their valuable data. This entry was posted in Customers, Technical Tips, Data Backup, Removeable Drive, Data Security by H.G. Blakeman. Bookmark the permalink.